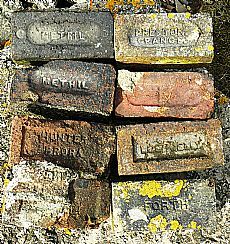 These bricks are some of the many to found on the site of Evanton airfield, remains of a large complex of buildings needed on the airfield. The stamps on many of the bricks show where they were made, and around a dozen types have been identified so far. While some are locally made at Brora, others clearly were imported from quite a distance, showing the military’s ability to transport materials widely using the rail network.Some brick huts and pillboxes still survive on the airfield, but most were demolished, and many of the remains were transported to the coast to serve as sea defences or have simply been pushed out of the way. 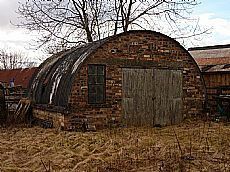 An ARCH project is currently researching and recording the wartime remains in Evanton, including the range of bricks which were in use. 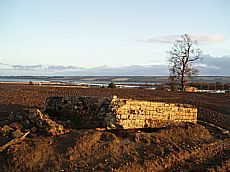 The results of this work will be highlighted at Cornerstone Café in Evanton on 1st June 10-2. Come and find out about the remains, and contribute any information you have to share!